City-dwelling humans have been battling rats and mice in the U.S. since the first Europeans (and urban rats and mice) disembarked here more than 400 years ago. In the 21st century, many tenants are serious about living in “green”, environmentally friendly apartments—and that means “green” rodent control, too. Fortunately for landlords, there´s a botanical rodent control product that works. The oldest cities, particularly along the eastern U.S. seaboard, have the highest rodent populations, although it´s impossible to get a firm fix on the numbers. Rats and mice are experts at living and breeding under sidewalks and in littered alleyways, deteriorating walls, asphalt foundations and ceiling and attic voids. In NYC, it´s not unusual for pest control professionals to trap several hundred rats and mice a week in retail basements and wall areas in one city block—and still not solve the rodent problem. It makes perfect sense when you understand that one mouse couple can create 15,000 mouse babies and grandbabies in just one year. 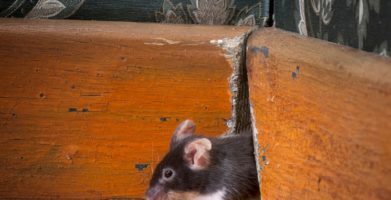 Rats and mice are not just uninvited tenants who are harmless until they’re discovered. 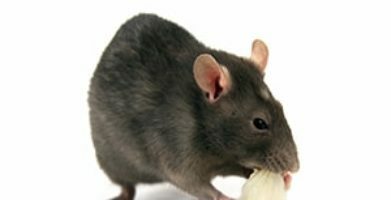 The U.S. government and most state and city governments consider household rodents a public health issue. Rats and mice start 8% of all house and building fires in the U.S. by chewing on electrical wiring. They can spread more than 35 known diseases. And they can drive out good tenants. Controlling rodents is a complex undertaking. 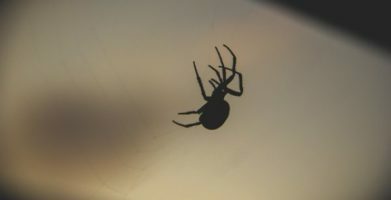 It will probably require a coordinated effort involving the local Board of Health, street and sanitation administrators, pest management professionals, and even local politicians. If using an effective, environmentally friendly rodent control product is important to you as a landlord, your leadership will be critical. 1. Proof of Federal Registration with the EPA – The U.S. Environmental Protection Agency (EPA) registration number should be on the front panel of the product. This number, which is granted only after years of successful testing, assures you that the EPA has fully evaluated the product to insure effectiveness and safety. Additionally, rodent control products must be registered with the EPA in each State in which they’re sold or distributed. To date, only one indoor-use product has passed the EPA´s scrutiny: Fresh Cab® rodent repellent. 2. Visible, easy-to-understand directions for use, storage, and disposal, as well as safety warnings- It’s illegal for EPA-registered rodent control products to claim that they’re biodegradable unless their package is also biodegradable. It’s also illegal for them to claim that they pose no health or safety risks unless they have undergone extensive third-party product safety testing and passed an EPA review. The only botanical rodent repellent to date that is not required to carry any safety warnings is Fresh Cab. 3. Customer Service Phone Number – On rodent control products, the EPA requires clear directions and a toll-free phone number for customers who have questions. An ethical company doesn’t just want to sell you a product; it wants to help you solve your rat or mouse problem. And finally, look into the manufacturer’s reputation. Check with the Better Business Bureau in your state. See what a search on Google or YouTube turns up. Is the company recognized by third-party organizations such as the National Home Gardening Club or the Organic Materials Review Institute (OMRI)? What does the U.S. Department of Agriculture have to say about the company or product? Is the company a member of the National Pest Management Association? Your tenants are likely to expect you to solve a rodent problem in an environmentally respectful way. 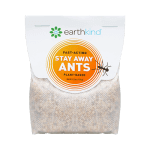 Learn more about the only EPA-registered indoor rodent control product—Fresh Cab rodent repellent—at www.earthkind.com. string(4616) "City-dwelling humans have been battling rats and mice in the U.S. since the first Europeans (and urban rats and mice) disembarked here more than 400 years ago. In the 21st century, many tenants are serious about living in "green", environmentally friendly apartments—and that means "green" rodent control, too. Fortunately for landlords, there´s a botanical rodent control product that works. Rats and mice are not just uninvited tenants who are harmless until they're discovered. The U.S. government and most state and city governments consider household rodents a public health issue. Rats and mice start 8% of all house and building fires in the U.S. by chewing on electrical wiring. They can spread more than 35 known diseases. 1. Proof of Federal Registration with the EPA - The U.S. Environmental Protection Agency (EPA) registration number should be on the front panel of the product. This number, which is granted only after years of successful testing, assures you that the EPA has fully evaluated the product to insure effectiveness and safety. Additionally, rodent control products must be registered with the EPA in each State in which they're sold or distributed. To date, only one indoor-use product has passed the EPA´s scrutiny: Fresh Cab® rodent repellent. 2. 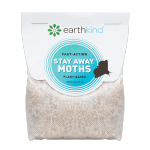 Visible, easy-to-understand directions for use, storage, and disposal, as well as safety warnings- It's illegal for EPA-registered rodent control products to claim that they're biodegradable unless their package is also biodegradable. It's also illegal for them to claim that they pose no health or safety risks unless they have undergone extensive third-party product safety testing and passed an EPA review. The only botanical rodent repellent to date that is not required to carry any safety warnings is Fresh Cab. 3. Customer Service Phone Number - On rodent control products, the EPA requires clear directions and a toll-free phone number for customers who have questions. An ethical company doesn't just want to sell you a product; it wants to help you solve your rat or mouse problem. And finally, look into the manufacturer's reputation. Check with the Better Business Bureau in your state. See what a search on Google or YouTube turns up. Is the company recognized by third-party organizations such as the National Home Gardening Club or the Organic Materials Review Institute (OMRI)? What does the U.S. Department of Agriculture have to say about the company or product? Is the company a member of the National Pest Management Association? Your tenants are likely to expect you to solve a rodent problem in an environmentally respectful way. 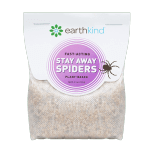 Learn more about the only EPA-registered indoor rodent control product—Fresh Cab rodent repellent—at www.earthkind.com. string(95) "3 Label Items that Green Landlords Should Check Before Buying Non-Toxic Rodent Control Products"
string(232) "City-dwelling humans have been battling rats and mice in the U.S. since the first Europeans (and urban rats and mice) disembarked here more than 400 years ago. In the 21st century, many tenants are serious about living in "green"..."